One of the noblest professions on earth, nursing is one profession that not only provides care and peace to the sufferer but also a divine satisfaction of having given care to the most needy. It is like sharing your happiness and the pain of the patients. It not only gives you monetary benefits and a security in job, but also provides mental satisfaction of having given some relief and respite to someone in their time of need. This is indeed a service to mankind and one which is greatly satisfying as a job option. Today with the advancement made in the medical field, nursing is not just about sharing of emotions but extends itself to technical know-how with proper training and learning in the field of nursing. With new ailments coming into the limelight more and more people are required in the nursing field as the hospitals around the world are running short of the nursing work force. So if you want to take up a job that is a well paid career along with serving the society then nursing is the profession for you. To become a nurse you need to be qualified as one, trained after your basic qualification and practice for sometime under more experienced professionals in the field to get the first had experience in real life hospital settings. There are many universities and colleges that provide nursing degrees and diplomas all around the world in both the regular mode and the distance education mode. You can take up certification programs which will not take you too far but with a license to be a nurse you can take up a job of Licensed Practical Nurses (LPN). This is the junior most position and from here onwards you can only progress upwards by gaining more experience and earning more degrees and certifications. 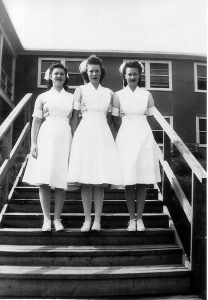 There are many levels of training and education attached to the nursing profession. Depending on your level of qualification and experience you would be absorbed into one of the different nursing levels of jobs. Apart from the basic school education, you should have taken up Science subjects in the High School level to be eligible for a Degree program in Nursing. Having a degree in nursing gives you better chances of getting into multi-specialty hospitals which ultimately leads to better payments. A Bachelors’ degree in Nursing does not limit you to job opportunities in hospitals and health care centers but extends itself to schools and various business organizations where basic health care is provided in-house. The Masters program includes in the modern methods of nursing, the techniques involved, and the use of the modern equipments, treatments and modes of examinations. Moreover, the Master’s degree program also involves referrals for further treatment and psychological therapy to help patients cope up with their health related problems. The Masters program is essentially provided to working nurses so that after gaining a certain period of work experience, this certification would help them in their career advancement. The Master’s degree program also increases your job opportunity as it allows you to be a tutor in any nurses’ training institutions and take up the job of a nursing tutor. There are many specialization programs too in the field of nursing where you can specialize in all the departments of medicine like Orthopedic, which gives you further opportunities in the field of sports. Specializing in departments like psychology, psychiatry etc provides you chances with jobs in de-addiction centers. So the options for jobs are not limited but the only requirement is your willingness to perceive the nursing profession not as a profession alone but that of a service to humanity.